This was not a bad phone to begin with. Everything worked perfectly, it was fast and simple to use, kind of reminded me of an android version of an iphone. It fell from me once and after that, I was basically living in hell with this phone. It cracked all across the screen, but the touch still managed to work. But it was just problems after the screen cracked. It didnt even get a hard drop. 2 months later theres no storage space even though there was, it starts to randomly select apps and drain the battery, then power button stops working completely. Perhaps you did not "bout" it well. Try again to "bout" it and let us know how did it go. Can you download apps on here without a sim card and just using internet? Anonymous, 23 Sep 2014loved the phone, got it in March. No cases were apparently available. Broke it by April, but ... moreSomething happened to me. Bought it again though. Mine does me fine. I love it. Its fast and all. I made sure to buy a case off of amazon this time. I dropped my old one a week after buying it and no one could fix it. The support told me it would be $240 which is more than I paid for the phone. $150. 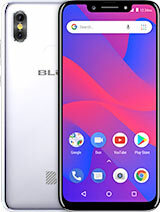 BLU Life Pure Mini is a great phone works well and its fast. I've had no problems at all with the phone. I'm using at&t go-phone account , It was a breeze to get the Micro Sim card free from at&t since i'm already a customer. Took 5 minutes and i was up and running it also works with walmart family plan, Cricket, T-Mobile, Net10 and others. Why get wrapped up in a contract and held Hostage by the carriers when you can the same coverage with unlocked BLU life pure mini. 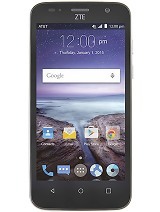 KT, 09 Jan 2015I don't know why people are giving this phone bad reviews. I admit, I've never had an iPhone o... morePlease tell me what carrier do you use? I have tmobile and none of the great features work and I have poor coverage, even 1 mile from my house no coverage at all. I don't know why people are giving this phone bad reviews. 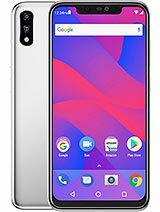 I admit, I've never had an iPhone or any top of the line phone, usually cheap android phones from Verizon, but I bought this phone for a little more than $150 and it is my absolute favorite phone ever. I have had it many months and have not had one problem with it. I have put all the apps I want on it and have used nowhere near half of its memory. 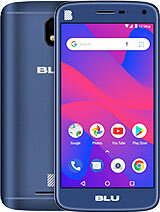 I will continue buying blu phones in the future. SO.. I came here to see what other people thought of this phone and I'm seeing the same thing, they dont like it. Well, I have a different view. Keeping in mind this phone sells for 150.00 USD, here I go. Firstly, The design on this phone is amazing.. i've never held a phone that looked better and actually has some weight to it (thanks to the 3000MAH battery) The UI of their customized android is clean and very easy to look at. Like others have said it gives off an Apple vibe.. But in a good way. IT IS FAST! compared with a Galaxy s3 it pretty much dusts it in every way and that was a 500+ dollar phone. I could talk about what is RIGHT with this phone all day.. but I wont. I own it and its my favorite of the other 2 I have. 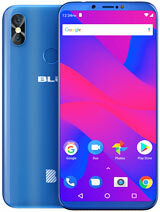 Blu is my new goto for phones. Next im getting the life pure. CONS: like with all Blu phones for some reason they have very little RAM. (this has 1gig) you are definatly going to need 2. To do this with Blu you will most certainly break the 200 USD barrier some people may have. DO IT. the build quality on these are incledible.. I mean like what you're expecting x10. Spend the extra 50 dollars tho and go with a Life Pure, or Life Pure XL as they both have 2 gigs of ram. What sets this phone apart from the rest of the Life Oure line is the smaller HD screen (which i like @ 4.5") and it's 3000 MaH battery. I use the phone all day. 3+ hours of on phone, 4+ hours web surfing, an hour or two of video.. and i never really get below 50% battery. Iv'e gone 3 days without recharging. tl;dr. Exelent, if not the best, build quality of any phone i have ever used. Battery that will make it through 2 FULL days of HEAVY use with no problem. And gorgeous custom ROM. Only 1 gig of memory which is low but the 1.5 gighz MediaTek Quad-core picks up the slack. There are some many things wrong with this phone I don't have all day to write them so I will write the major problems with this phone. The GPS takes about 15 - 30 min to acquire a signal. When it does acquire a signal my location is completely way off. The Bluetooth in this phone doesn't work. I could never get it to sync to my car. I never encountered Bluetooth problems with my past smartphones (iPhone 4, iPhone 2G, LG Optimus). This phone doesn't handle group MMS (text) I receive the messages individually instead in a group. The front facing camera is virtually useless, the picture is completely dark. It's so bad I never use it to video chat. This phone was released in February 2014 and still uses the old Jellybean 4.2. software. I knew this before I purchased the phone. I purchased it because Blu announced they would release the Jellybean 4.4 software in May 2014. 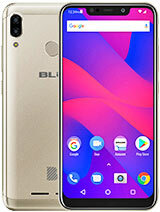 Now it's October 2014, Blu said they will not release a update for this phone. I was waiting for the new update hoping that the update would fix some or all of the problems with this phone. 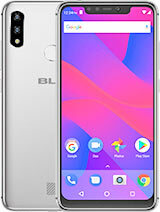 Total of 44 user reviews and opinions for BLU Life Pure Mini.